Gail’s storytelling sessions are flexible in order to accommodate the needs and wants of her hosts. She will tailor her storytelling programs accordingly. Some of her most popular storytelling programs are as follows. Gail de Vos leads entertaining, thought provoking and informative storytelling and writing workshops for teachers, librarians and students of all ages. She brings alive the techniques of storytelling and the power of story as compelling, entertaining and relevant resources for communication, particularly for young adults. Gail de Vos draws on a wealth of background in storytelling. Workshops and school programs can be arranged for basic to senior levels of storytelling for parents, teachers, librarians, interpretive museum staff, business communicators and students. Gail is always eager to adapt her material and presentation to complement your needs. Workshops include storytelling techniques, contemporary legends, family stories, picture books for all ages, bringing history alive through story, the changing “face” of traditional folktales (in popular culture), looking at various aspects of Canadian children’s literature, and getting reluctant readers reading. She also conducts a wide variety of workshops on comic books, graphic novels and Manga (Japanese comics) for inclusion in school and public libraries as well as folklore motifs and tales employed in the comic book format. Everyone can tell a story! Participants will learn how to take a story off the page and make it come alive using their own natural telling abilities. Discover effective presentation techniques that transfer to all modes of oral communication from presentations to large groups or to individuals such as a bank manager or employer. Suitable for students of all ages. Gail explores the use of storytelling in the library world, not as entertainment for young listeners, but as a major communication tool to convey the fundamental nature and significance of libraries today. The workshop looks at the values of storytelling as a viable and powerful agent of change and how the art of storytelling enhances communication styles and content delivery as well as building the social and cultural architecture of the organization. This workshop explores the power of family stories, tales that help define and bind family members. 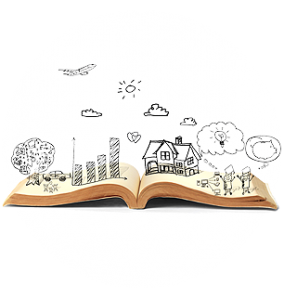 Gail explores the role and types of family stories as well as how to develop and tell an effective family story. Participants will learn several stories. A common association with the term storytelling is as entertainment for young children. Gail discusses why young adults (teens) can be the most satisfying audience for the storyteller/educator and how storytelling can be utilized in all aspects of the curriculum to enhance the learning experience for this age group. Topics in this session include types of stories, from the traditional to contemporary legends, to tell to teens and how to tell them; how to encourage teens to tell their stories; and how to incorporate tales into lesson plans. This workshop explores the language and grammar of comic books and graphic novels by using examples of the best of the best. Gail will provide an overview of the storytelling techniques used in the comic book medium and will highlight the strengths of this medium in all aspects of literacy. Warning: no superheroes! The comic book format is the closest print medium to oral storytelling. As well, a profusion of myths, legends, ballads, and folktales and motifs can be found in the comic book format. This workshop explores the wide variety of titles and tales that can be found in this visual medium. Since manga and anime have become so popular with young readers and viewers of both genders, libraries should be a major access point for these materials. A major concern for libraries is what materials should be collected and how should they be circulated. This workshop looks at manga and anime, discussing the various types, selection criteria as well as selection aids, and utilizing the materials to their fullest capacity, not only for circulation, but to entice reluctant library users into library cheerleaders. Gail discusses the common pitfalls in selecting First Nations books for children, the use of First Nations folklore in picture books by both First Nations and non-First Nation’s authors and illustrators with an emphasis on Canadian material. This workshop reviews both literacy trends and obstacles for materials created for young Canadian readers by Canadian authors, illustrators and publishers. Gail addresses various formats (picture books, novels, graphic novels) as well as popular genres. Based on her research on reworkings of traditional ballads and folktales, this workshop looks at the history, changes and adaptations of these age-old stories as they are made fresh for young adult readers, viewers and listeners.